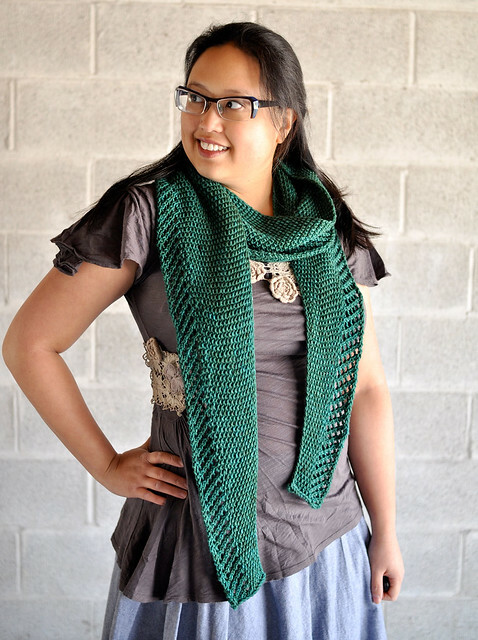 Looks like my almost non-stop vacation knitting ended up throwing off my game – my elbows are sore. 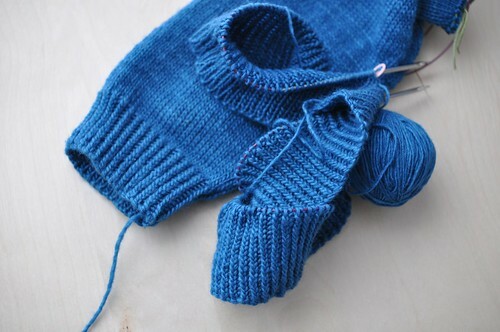 I know enough to stop when my body gives me that hint, though I really really want to be knitting right now! Still, it’s best not to push too hard, since I don’t have any hard deadlines at the moment. Maybe a few days of spinning instead would be a good break, just to change things up a bit. I ended up ripping out the body of Sheepcote that I’d started last week, but I’m back on track now and finished one sleeve. I recently got a new, huge and awesome counter for my kitchen from Ikea, so here’s a recipe I made over the weekend for a get-together. They went over great! 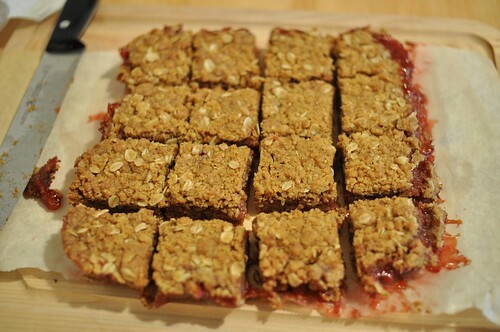 Jam Bars – based on these from Loveless Cafe. Preheat oven to 375F. Line a 9×9″ pan with parchment paper. Combine oats, flour, brown sugar, cinnamon and baking soda with a spoon or mixer. Press half the crumb mixture into a pan and bake until golden and set, about 20 minutes. Pour jam over crust and top with remaining crumble mixture. Bake another 20 minutes or until golden and set on top, and jam is bubbly. Let cool completely before lifting out and cutting into bars. Yum! They look mouthwatering! I’m sorry your elbow is sore but cake solves a myriad of ills! Just tried these with blueberries, and they are yummy! Thanks for the recipe.